As the 19th century drew to a close the textile industry in Overijssel took a tremendous step forward. A handful of factory complexes, many luxury country houses and the workers' districts are still there as a reminder. 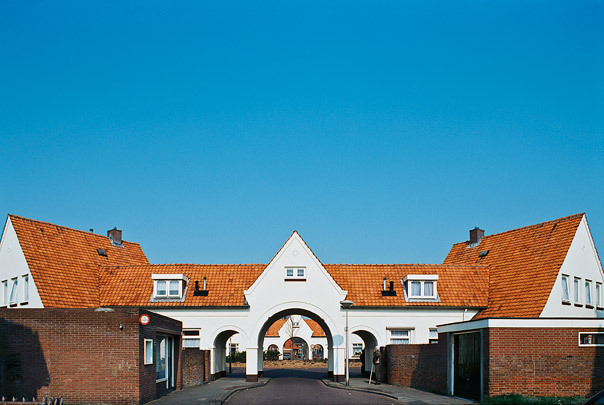 Between 1914 and 1922 974 low-rise houses were built in the Pathmos district; in 1927-1928 it was expanded to the northwest with a further 226 to house workers from the peat districts of Drenthe. The short sight lines, winding streets and gateways breathe an air of containment. The district is served by shops, schools, a community centre and public baths, along with many squares and green facilities including a centrally sited park.